The logo on his chest has become one of the world’s most recognizable symbols. The royal blue, red and gold of his costume are the colors that superheros are made of. 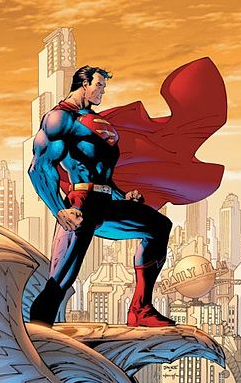 But the defining difference between Superman and the rest of the DC and Marvel heroes is his message. He clearly illustrates his distinguishing features with clarity and proof. It’s a bird, its a plane…its Superman. Sure Superman had lots of other powers. That’s his position in a marketing sense. There isn’t a boy in the fifth grade that doesn’t covet his x-ray vision. He is also a defender of the helpless, a humble Clark Kent, a gentleman with the ladies, bulletproof. But by focusing on just a few of his strengths, and with the proof statement or message to back it up, we know Superman’s brand better than that of any other superhero. How fast is Superman? Why he is faster than a speeding bullet? How powerful? Here is your proof again…more powerful than a locomotive. And while he was flying around, leaving red and blue streaks across the sky, we understood his brand…because it combines both message and image. 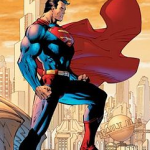 The Man of Steel is one of the longest standing cultural icons of America today. Super powers? Or just a Super position.